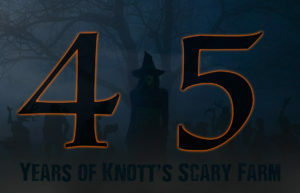 45 Years of Knott’s Scary Farm is a historical presentation that will educate, entertain, and bring fans up-to-date with the Buena Park event that is credited with launching an entire industry throughout the United States and beyond. This retrospective panel is separate than the official Knott’s Scary Farm 2017 presentation, which will be held on Saturday, July 29th, also in the Terrace Theater; during that presentation, representatives from Knott’s Berry Farm will discuss this year’s event, and will be revealing some aspects of Scary Farm 2017 that fans are going to be very excited to hear. John Waite – Responsible for decorating/designing Haunt scenes and gags for the Timber Mountain Log Ride and Calico Mine Ride under Bud Hurbut in the early 1970s, John helped set the bar for Knott’s Scary Farm attractions for years to come. Diana Kirchen Kelly – The first Green Witch character to roam the streets of Ghost Town beginning in 1973. Diana is among the small handful of very first scare zone monsters in theme park history. Julie Owens – A performer, dancer, and choreographer for over four decades at Knott’s Berry Farm, Julie ultimately became the Entertainment Director of Live Entertainment for the park, making countless contributions to Knott’s Scary Farm throughout her career. Vickie Yahn – The actress who portrayed one of the most iconic characters in Knott’s Scary Farm original show history, the legendary witch from the early Hanging productions. Brian McGee – One of the first members of the original “Haunt Crew” for Knott’s Scary Farm, Brian created attractions such as Knott’s Scary Tales, Metro Madness, Best Little Horror House, and more. Del Langdale – The former head of Knott’s Berry Farm Park Décor in the 1970s and 1980s, many of the looks and designs synonymous with Knott’s Scary Farm midways are concepts that were first introduced by Del. Todd Stubbler – Scaring guests for many years as a street monster in Ghost Town, Todd was responsible for fine-tuning and innovating the scare tactic known as “sliding”. 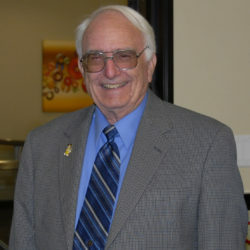 Larry McCauley – The first individual to be hired as an official “maze designer” for Knott’s Scary Farm, Larry designed mazes such as Revenge of the Dead, and Uncle Ernie’s Madhouse. 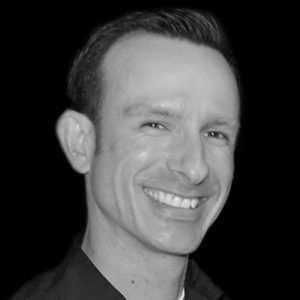 Todd Faux – Working as the Entertainment Design Manager at Knott’s Berry Farm for 18 years, Todd designed attractions such as Quarantine, 13 Axe Murder Manor, and the Haunt 25th Anniversary Maze. Ken Parks – In addition to being the former writer and actor for The Hanging throughout the 1990s and 2000s, Ken performed as Dr. Cleaver in Dr. Cleaver’s Psycho Circus, and is now the Vice President of Entertainment at Knott’s Berry Farm. 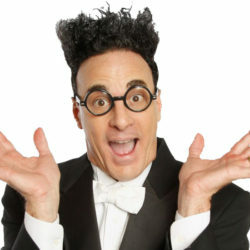 Ed Alonzo – A world-renowned magician, Ed Alonzo entertained and mesmerized Knott’s Scary Farm crowds over a dozen seasons, including headlining the Charles M. Schultz Theatre several times with shows such as Ghouls Gone Wild with Ed Alonzo, and Ed Alonzo’s Howl-O-Ween House Party. 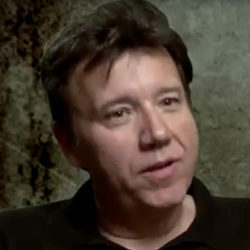 Jon Cooke – As a former maze and scare zone talent, Jon has become one of the most innovative maze designers in Knott’s Scary Farm’s history, with attractions such as Infected, Paranormal, Inc., and Shadow Lands. Immediately following the conclusion of the presentation, Midsummer Scream guests are invited to a reception in the lobby of the Terrace Theater, where they will have the opportunity to meet, talk to, and take photos with the 45 Years of Knott’s Scary Farm panelists! “We felt a reception would be the perfect way to end Midsummer Scream 2017, giving fans the opportunity to actually meet the individuals featured during the Scary Farm 45 presentation,” adds Markland. Tickets for Midsummer Scream are on sale now. Click here for ticketing options and sales. Midsummer Scream will be held July 29-30, 2017 at the Long Beach Convention Center. This entry was posted in Haunted Attractions, Home Page, Home Page Slider, News, TPA Events and tagged Halloween, Knott's Scary Farm, Midsummer Scream, Ted Dougherty. Bookmark the permalink.